I’ve been taking Peyman’s online Tombak and Ghaval lessons since April 2011. Before starting our lessons, I was not sure if Skype lessons work, but now I have understood that this way of teaching totally works. He always shows me the rhythmic and finger patterns very slowly and explains clearly. 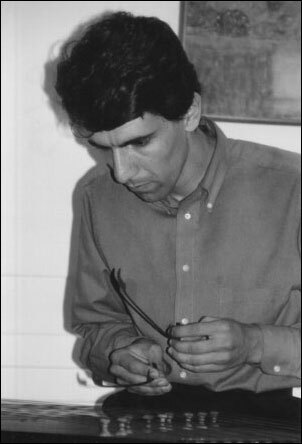 His teaching is well-organized and also he improvises in a good way during the class. In my opinion, Peyman is a great teacher and drummer. Do you like to take hand drum Skype lessons, courses and workshops for hand drums finger patterns, techniques, and rhythms? No matter if you are in London, Los Angeles, New York, or Toronto or even a small village somewhere on the globe! 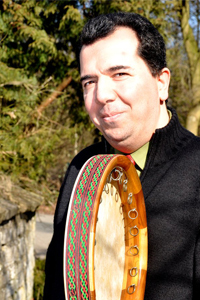 Still you can take hand drums (tonbak, doumbek, or frame drum) lessons, workshops, classes and courses, given by Dr. Peyman Nasehpour via Skype or ooVoo, if you have a good Internet connection! Don't be in dilemma. We have managed these lessons for many international students, because Skype lessons are easy, comfortable and even more economic! 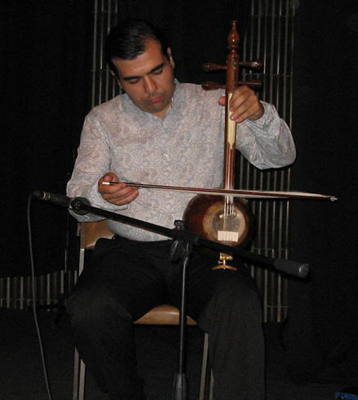 Learn tonbak (Persian goblet drum) also known as tombak, donbak, dombak, zarb or Azerbaijani ghaval (frame drum) also known as Azeri dayereh, or Kurdish daf, or Azerbaijani Naghara (cylindrical drum) from Dr. Peyman Nasehpour. Beginner and advanced lessons can be supplied through Skype or ooVoo. You need a good Internet connection, Skype or ooVoo on your computer machine, webcam, microphone and speaker equipment. Hand percussion instruments are that genre of instruments that are played with the hands of percussionists, not the sticks. Some hand percussion instruments are Cajon, ghatam, udu and so on and of course there is an important sub-category of instruments of the category hand percussion and that is hand drum. Hand drums are perhaps one of those genres of instruments that are going to be in the focus of all human beings sight. Hand drums: Hand drums are those drums that are played with hands (calf or fingers) of the drummer. Since there are too many drums with different shapes and every hand drum has its own hand drumming techniques, therefore it is almost impossible to give a formula or method of playing hand drums. Even those drums that are similar to each other have very different methods of playing. For example goblet shaped drums are so similar to each other, but the way that the Persian goblet drum (tonbak) is played is totally different from the way that Egyptian goblet drum (tablah) is played. About frame drums the position is more complicated. Traditionally every drum has its own techniques that are the result the experience of many drummers. Today with the help of Internet that many drummers of different regions have been connected to each other, are going to use the techniques of different hand drums on the their own drums and hopefully this will enrich the techniques of all hand drums. 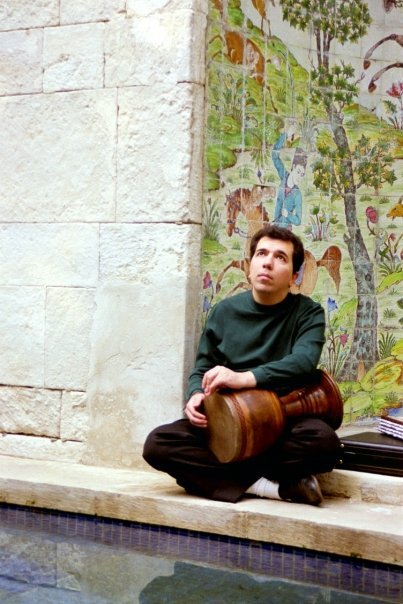 Tonbak (Persian hand drum) is one of those hand drums that is played with all fingers of the tonbak player. If ooVoo or Skype doesn't work, we know an alternative video conference tool: Voxeet, a free 3DHD conference call solution!